 Embrionix provides a new approach in the product interface market for broadcast manufacturers. 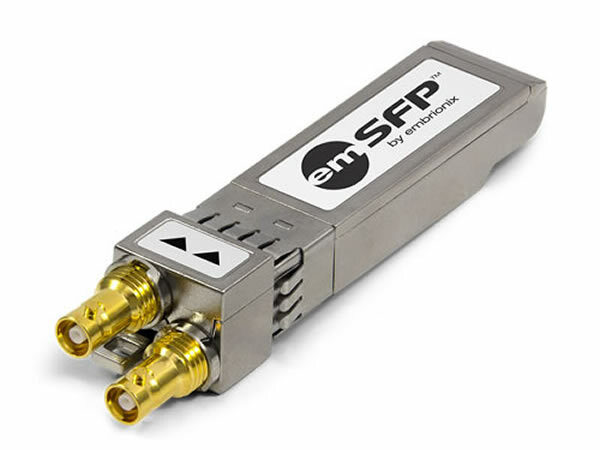 Embrionix designs and builds innovative, advanced small form-factor pluggable transceivers (SFPs) to close the gap between fibre optic deployments, coaxial deployments, and emerging technology deployments, such as HDMI, composite video, and Ethernet. By leveraging its core competencies in video broadcast, the company provides SFP modules (emSFP) with the highest level of flexibility to major broadcasters in the industry. 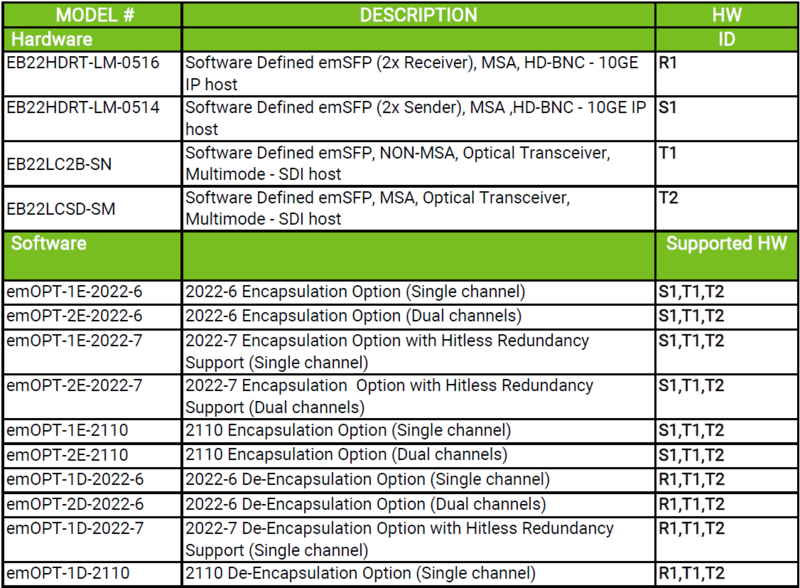 This product series consist of SDI-to-IP (ST2022-1, ST2022-2, ST2022-6, ST2022-7, ST2110) Gateway converters allowing legacy SDI equipment to be interconnected to an IP network. The solution SDI IP is designed around an inputs/outputs interchangeable SFP (SDI IP) form factor. 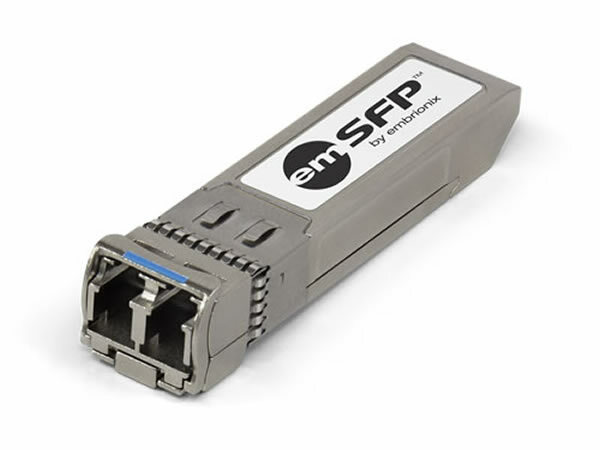 Installed inside an SFP cage hosted by other equipment manufacturers, the modules can be interchanged to provide a different mix of input and output connectivity. The modules can be inserted directly inside 10G SFP/SFP+ cage with direct interface to 1GE, 10GE, 25GE and 100GE network. 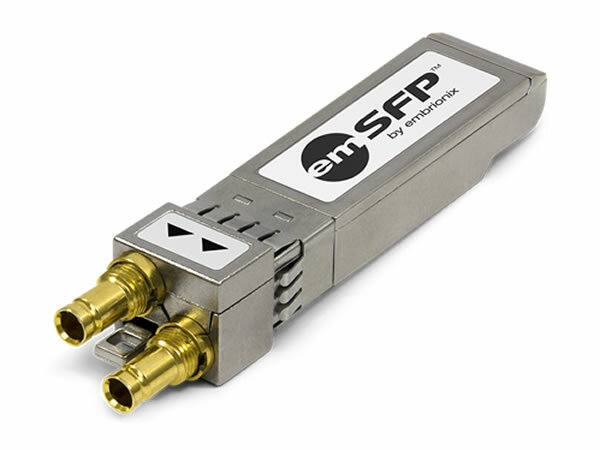 This purely simple solution drastically simplifies gradual integration of IP and SDI equipment. Plug’n’play for standard video SFP cages. Patented latch prevents undesired disconnections.